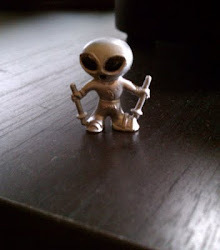 I just love the little green men of Kelly-Hopkinsville, even though they haunt my dreams. 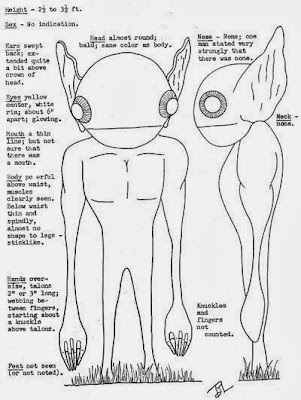 As I'm writing about the Kelly-Hopkinsville Little Green Men case (or KHLGMC) for my book about Dr. J. Allen Hynek, I find myself continually amazed at the way the Sutton clan fought off the little beasties that invaded their isolated Kentucky farm that August night in 1955. If the aliens had some gland plan to make contact with the human race by approaching a remote farmhouse after dark, they sure botched it when they picked the Sutton house. My appreciation of the Suttons has grown even greater since I had the privilege of interviewing Geraldine Sutton-Stith, the daughter of Elmer "Lucky" Sutton, the man who led the fight against the alien invaders that night. From Geraldine, who was born several years after KHLGMC, I learned that her Daddy and her grandmother, "Miss Glennie" Lankford, made a formidable duo, and have earned places of honor in the pantheon of unwilling UFO celebrities. The siege went on for hours, and finally the whole family escaped in the two family cars and reported the attack to the police. Over a dozen law enforcement officers went over the house and lot and found no sign of any alien presence. But once they left the siege began again, and in the morning the aliens just went away of their own accord. By rights they should have been picking lead shot out of their little green hineys for days afterwards, but they never seemed phased by the gunshots. The case has been investigated countless times, and the Suttons have never backed off from their story. 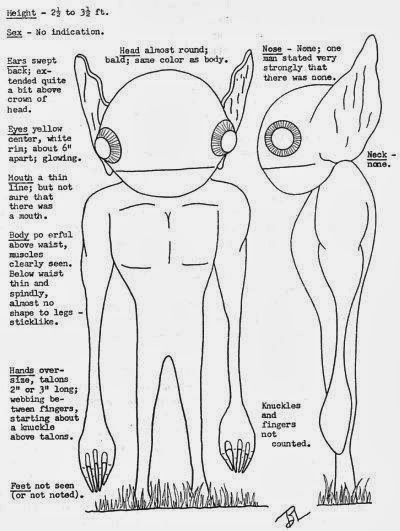 KHLGMC remains one of the great unexplained UFO mysteries of all time. It's a great story, but now I love it even more. I talked to Geraldine a lot about her Dad "Lucky" and what he went through that night. She told me that she always knew "something" had happened to her family before she was born, but her Daddy never spoke of it. Until one day many years later when a man and woman came to the door and asked Lucky to tell them his story, and he agreed. When he led the visitors into the living room, Geraldine followed... She sat on the floor, quiet as a churchmouse, completely transfixed as her Daddy told the strangers what happened that night. She told me that her Daddy was small of stature, but was a fierce fighter. Even when Miss Glennie tried to convince Lucky and the other men to stop shooting at the creatures, Lucky wouldn't relent. “If they’re coming up to the doors and windows, they want to get in. And what are they going to do when they get in?" Geraldine said to me. "He wasn’t going to give them that chance!” We talked a lot about what kind of fear it would take to make such a self-reliant man race into town to get help from the police, and Geraldine said that Lucky's concern for his family's safety trumped all other considerations--the man knew when it was time to get help. Twice that night Miss Glennie was scared half to death by the creatures, once when the first alien approached the front door of the house and then again a few hours later when she woke up and saw one staring at her through the bedroom window... And even then she implored Lucky and the others to stop shooting at the creatures. After all, they didn't seem to want to hurt anyone, and they were probably just as scared of the humans as the humans were of them. What did this creature do to upset Alene Sutton so? There's another part of the story that intrigues me, and unfortunately Geraldine was not able to help me with this stickler... 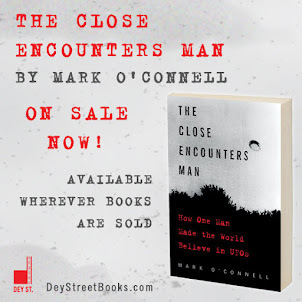 In the most thorough write-up of KHLGMC, "Close Encounter at Kelly" by Isabel Davis (1978, Center for UFO Studies), it is revealed that Miss Glennie did not believe her son Lucky's claims that there were strange little men outside the house until her daughter-in-law (and Geraldine's aunt) Alene Sutton came back in the house “...terrified, white, nervously shaking, saying that she had seen one of the little men. She was terribly upset..."
This is a bombshell, yet Davis never seems to have followed up on it. With the men guarding the doors with guns, how did Alene Sutton get out of the house, and why did she go outside when she knew there were strange creatures lurking in the yard? There was a kitchen door that was left unguarded, but from the house plans Davis drew in her report, Lucky would almost certainly have seen Alene slip outside from where he was stations. So did she not want Lucky to stop her? I really want to get to the bottom of this, and I think I will find out more on my next visit to the CUFOS archives. The answer will surely be in the transcriptions of the interviews local radio host Bud Ledwith conducted of all the adults the day after the siege. But what if it isn't?? Anybody have any leads I can follow? P.S. Geraldine has a slick website and a wonderful book about the encounter: "Alien Legacy." Read it!